We have all been there; that moment when you’ve just completed one of the most important documents of your life and then in a flash it’s gone. Either the power has gone out or your computer just isn’t comprehending the save button at the moment, but whatever you’ve been working on is completely gone in just a fraction of the time it took you to create. That’s where Backup and Disaster Recovery solutions come in. Among all of the possible forms of software your company might implement; whether it’s Business Intelligence or Mobile Device management, there is nothing that can compare to the feeling of not panicking when your screen goes temporarily black. Backup and disaster is probably the most worthwhile software a business of any size can invest in. When it’s all said and done, having an easy set-it-and-forget-it solution in place to ensure your data will always be retrievable no matter what, is priceless. 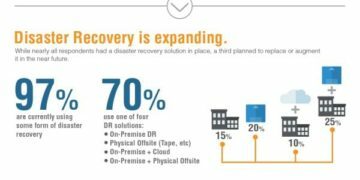 Compared to other types of corporate solutions, Backup and Disaster is relatively inexpensive. No matter what size business you own or operate, there is an affordable solution for you. There are other disasters besides just power outages and technology glitches that the proper solution can help protect your data from. Natural disasters like earthquakes and floods can be the kiss of death to any business, especially a smaller one. The damages to the facility along with the loss of data can cripple a business. While a backup and disaster solution can’t fix exterior damages, it can store your data either on a secure cloud, in a server house or any combination of the two. Each different solution has a unique set of tools designed to customize the experience for the IT department based on what they want backed up, where they want it backed up to and how frequently the data needs to be backed up. Once these settings are in place, there is little maintenance that needs to be done apart from the occasional checkup. There are a few different options when it comes to where you want your data to go. Most enterprises prefer not to put all of their data in one place because it can become too inconvenient when trying to retrieve things quickly. The remedy to that problem is to have the data go to two different places. The data that is being used the most and every day can be stored on a customized private cloud that can be easily accessed by all employees anywhere. This data tends to be less sensitive and accessed more frequently. With the more sensitive data and that data that is kept on file, or not used as frequently can be stored in either a private server house or a server house provided by the vendor, usually in a secure location. This makes the data harder to get to by hackers and keeps the data physically away which is particularly helpful if your business is located in an area that is prone to natural disaster. IT professionals can configure the settings to schedule the data backed up frequently or infrequently as they deem fit whether it be once every few minutes or once a day. Other features these solutions typically have is deduplication, universal restore, remote data protection, replication, bare metal recovery, encryption, scalability, agentless solutions and image-based backup. 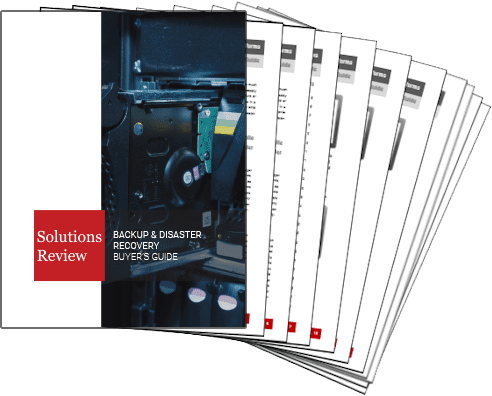 Download our Free Buyers Guide to learn more about Backup and Disaster Recovery, including the 10 questions you should ask yourself and a potential vendor when looking into a solution, and profiles on the top 24 Backup and Disaster Recovery Solutions. 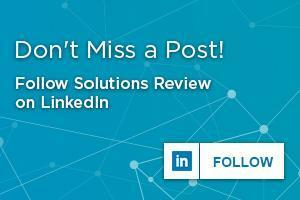 Learn what features they provide and a Bottom Line Evaluation.